Seen on the way to the Gardner today. 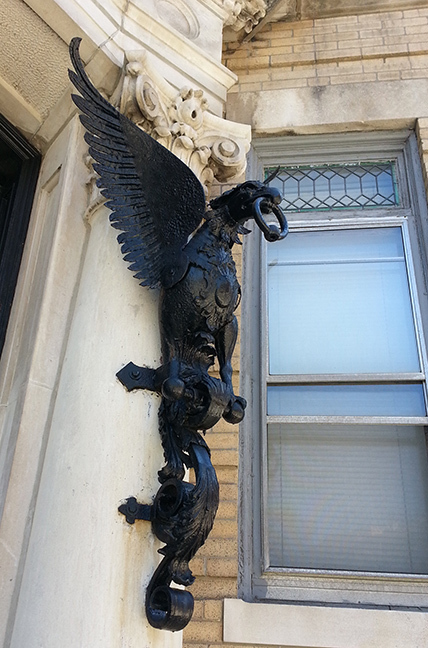 A pair of wrought iron wyverns about 3 feet high, flanking a doorway on Tetlow Street. Very Highclere Castle-ish. I’m included in the New England Sculptors Association show at the historic Governor Langdon house in Portsmouth, NH. 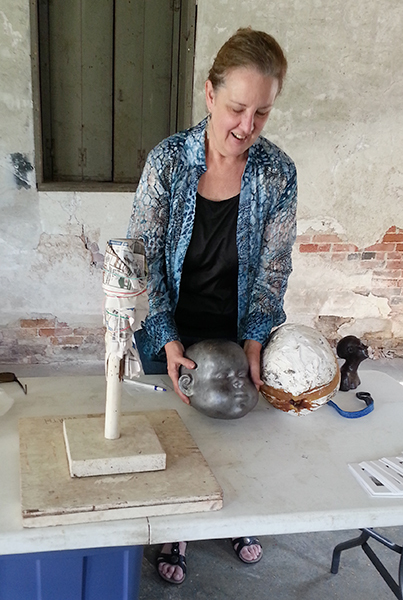 Here I am at my moldmaking demonstration last weekend, showing my two-part mold for the baby head series. The beautiful mansion and grounds host both indoor and outdoor work in bronze, wood, stone, and steel by over 20 area sculptors. On view through September 6. I’ll be giving an ongiong demonstration of moldmaking and sculpture techniques at Portsmouth’s historic Governor John Langdon House from 2-4pm, in the studio. This complements the New England Sculptors Association summer show, on the grounds and inside the 18th-century mansion itself. A second half of this show is installed on the grounds of the Sarah Orne Jewett house, just across the river in Maine. Hope to see you!